What is most interesting for your users? There are a lot of objective criteria to determine the success of social media pages. We have about 200 different metrics for Facebook alone. Unfortunately, none of them can answer this question. 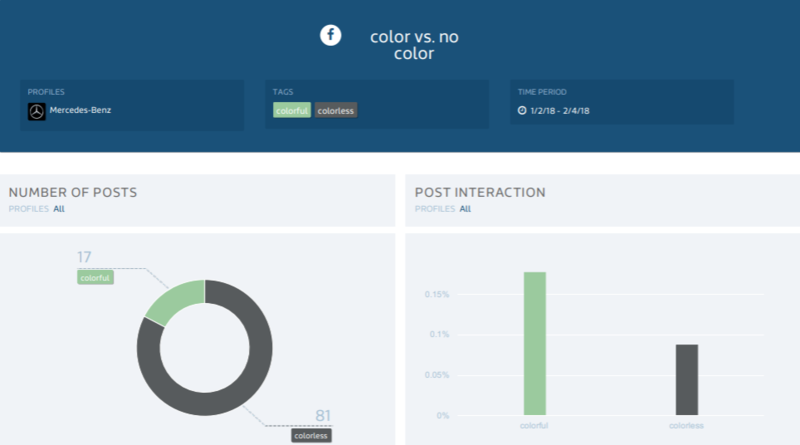 With the Fanpage Karma Tagging you have the unique possibility to analyze posts based on their content. 1. Pick one or more profiles from Facebook, Instagram, Twitter, YouTube, Pinterest, Google+ or LinkedIn. 2. Create as many individual tags as you need. Example: … colorful or colorless cars? 3. Mark all posts with the tags. Example: All posts that show colorful cars get the tag “colorful”. All posts that show black, white or silver/gray cars get the tag “colorless”. 4. Assess the results by using graphs and tables. Example: Mercedes posted way more posts with colorless cars. The posts with colorful cars, however, had a higher post interaction. 5. Export your tagging chart board. Do you want to find out what content works for your page? 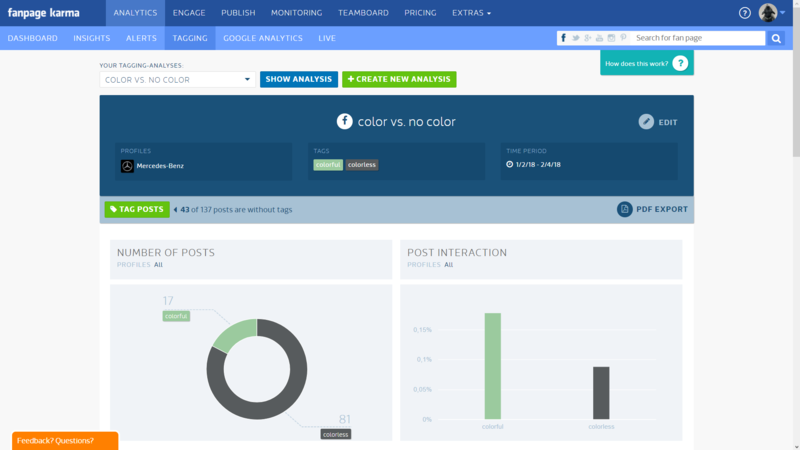 The Tagging is available in the business version of Fanpage Karma Analytics. Visit www.fanpagekarma.com for a free two-weeks-trial.